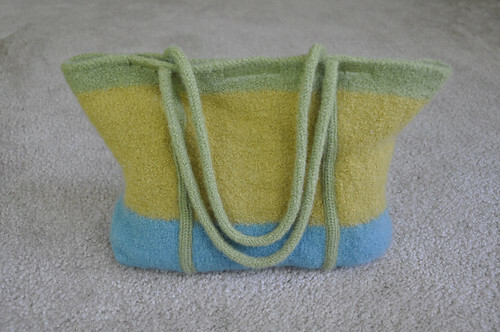 A new finished object—a felted bag! This project was mostly done already, just needed a handle and more felting. I used an “Embellish-Knit!” to make icord*, needle-felted it on, and then ran it through the washing machine. Well, and the sewing machine. Just to be sure. This was knit with the box bottom built in. 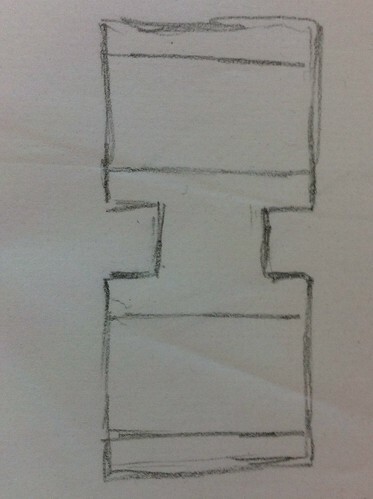 Starting with a provisional cast-on, then backwards loops to increase, and joined in the round for easy color blocking. *The “Embellish-Knit!” machine was originally purchased for the brain hat.